Life is too short to let your fears get the best of you. A lot of individuals have had their fears limit their true potential as a person. Sadly, a lot of those individuals also have problems with their lifestyles because they are literally living in fear. Don’t let your fear shape who you are and what you can do! 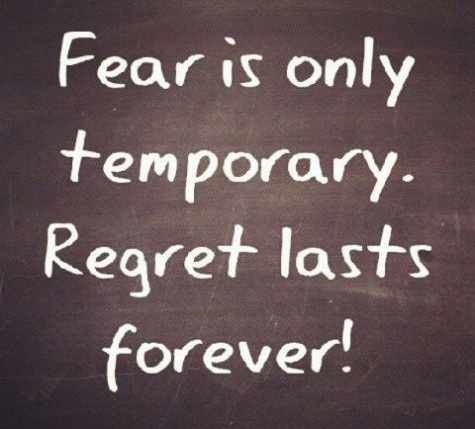 Always remember: Fear is only temporary, regret lasts forever. So, how do you go about facing your fears if you’re really afraid something bad might happen? If you just keep ignoring them, chances are, they will never go away and will grow more intense every day that you do not address them. Start by thinking your fears through. You have to understand that no matter how absurd your fears might seem to you, there are hundreds or even millions who are scared of the same things! Being embarrassed and hiding those fears won’t even get you an inch near to getting over that fear. You can look for online forums and connect to those people who have the same fears. Knowing that there are others who are going through the same thing can help boost your courage to overcome your fear. Another thing that you can try in overcoming your fear to understand how you came to fear this specific thing in the first place. Try to remember what made you so scared. Sometimes the history of a fear holds the key to overcoming the fear, so try to figure it out. Try to differentiate fears that are unreasonable from the rational fears. Fears are actually made as a mechanism to protect an individual to hostilities in the world. But some fears can be outright unreasonable, so you have to really think about why you’re scared, and if the thing you’re scared about is really worth being feared out. It will also help if you do a charting of one specific fear. Make a chart on those events that make you feel anxious or fearful, then list down things that you can do to distract your attention on the fear. If your fear is greatly affecting your lifestyle, then you can also seek the help of a mental health professional. Don’t worry-this doesn’t mean that you are not in the right mind. You just need to get professional help in order for you to recondition your mind with techniques and therapy sessions. This goes very well for those phobias. The mental therapy sessions and techniques can help in helping you take control of your emotions so you will be able to manage your fear. Always remember that fear is something that you have learned and developed over time. We were made to be fearful and naturally curious in our childhood years. So technically, if you learned to fear something, then it is also possible to unlearn that fear. Always imagine a scenario where you have successfully conquered your fear. And also, practice exposing yourself to the fear. Maybe not in a regular manner, but at least, try to expose yourself. Getting rid of a fear works much like getting rid of a certain allergic reaction. Expose yourself to the fear little by little, and you will get rid of the fear in no time. Another way of handling the fear is by relaxation of the body. You can try doing yoga, or just simply try to tense your muscles for at least 5 seconds. Also, take deep breaths in order for you and focus on your breaths until you feel the anxiety slowly going away. 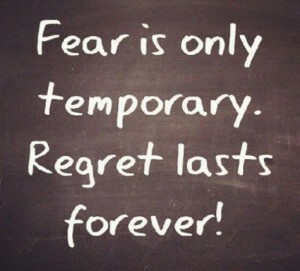 Lastly, the best thing to do about fear is to proactively use the fear! Use them for productive fears. 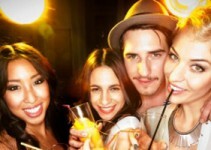 You can use your fear of crowds into improving your interpersonal skills. Just turn them into positive energy. Once you start enjoying the feeling of using your fears for great things, then you will be able to conquer your fears soon!